Jeremy Irons joined Mark Kermode and the City of Birmingham Symphony Orchestra on 9 July 2013 for an evening of music from film. Jeremy Irons appeared alongside Mark Kermode in his 50th birthday celebratory concert on stage with the City of Birmingham Symphony Orchestra on 9 July at Symphony Hall Birmingham. 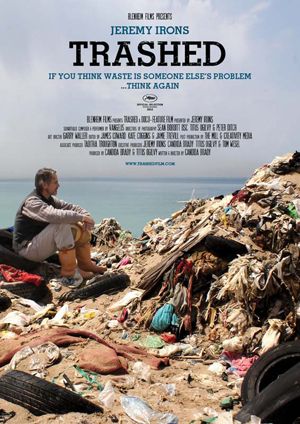 Jeremy Irons will introduce the screening: Trashed on Sunday 2 June 2013. In the new docu-feature Trashed, a Blenheim Films production, produced and directed by British filmmaker Candida Brady (Madam and the Dying Swan), which was selected to receive a Special Screening at the Cannes Film Festival, Irons sets out to discover the extent and effects of the global waste problem, as he travels around the world to beautiful destinations tainted by pollution. This is a meticulous, brave investigative journey that takes Irons (and us) from scepticism to sorrow and from horror to hope. Brady’s narrative is vividly propelled by an original score created by Academy Award winning composer Vangelis. Jeremy Irons will be in attendance on Sunday, April 21 at the BAM screening of Trashed and will participate in a Q & A session after the screening. 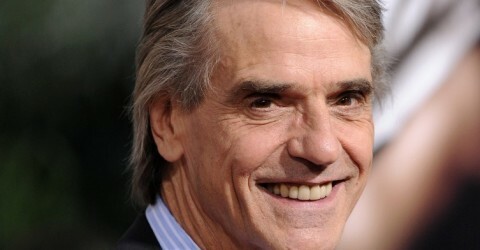 The narrator of Trashed, Academy Award-winning actor Jeremy Irons, will participate in a Q&A after the screening. Grades 9—12 Jeremy WILL NOT be present on Monday. + All screenings are followed by discussion/Q&A. Post-screening guest to be announced. If you are an educator you may make reservations HERE. Jeremy Irons was on hand at the Apollo Cinema in Piccadilly Circus in London for the Raindance Independent Film Festival screening of his documentary Trashed, on Saturday 29 September 2012. He and director Candida Brady also participated in a Q & A session after the screening. 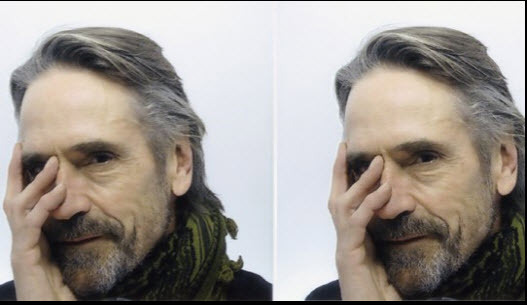 OSCAR winning actor Jeremy Irons left a Bishop’s Cleeve resident stunned when he pulled up on his motorbike outside her house. The Die Hard film star is a keen environmentalist and visited the village to find out about its nearby toxic waste dump, Wingmoor Farm. He was filmed speaking to Safety in Waste and Rubbish Disposal (SWARD ) campaigner, Barbara Farmer. The documentary, Trashed, which features footage of the village and Cleeve Hill, has now been selected for a special screening at Cannes international film festival. Barbara said: “It was quite surreal to have Jeremy Irons motorcycle up to my house and knock on my door. He spent a lot of time talking with me as the cameras rolled, finding out all about the blight of having thousands of tonnes of toxic incinerator chimney ash dumped on the edge of our villages in open conditions. Blenheim Films came to visit Bishop’s Cleeve as part of a tour of worldwide locations that have been blighted by waste disposal. The crew spent a day filming the area then came back to film the protest in September 2011 when SWARD held a protest to coincide with the Gloucestershire County Council Planning Committee’s site visit. “I was astonished to get a text from the director telling me that she was sitting with Vangelis, who has written the music for the film, watching my clip,” Barbara said. SWARD is delighted that Trashed has been selected for Cannes. Barbara said: “”It is very apt timing. Gloucestershire faces the awful prospect of a massive incinerator at Javelin Park. If this application is granted we will have to feed the burner 24 hours a day seven days a week with precious resources that can’t be replaced and at a terrible cost to our environment. “Anyone who thinks burning rubbish is a safe and clean option should come to see the vast quantities of toxic ash that are dumped at Wingmoor.